Spoken Comics is a new project from a group of students at Pepperdine University that is developing an Arabic audio edition of DAREDEVIL #1. Here, student coordinator Alexander Booker answers questions about the production and why he feels it is an important cause he is supporting. Kuljit Mithra: I stumbled upon your project when I saw a casting call for voice actors through Arab-American Casting. The original audio edition for DAREDEVIL #1 that Marvel Comics produced was very well received, so when I mentioned this new Arabic recording on Twitter, there were a lot of people interested. As I learned that Spoken Comics was involved, I soon discovered the association with Al-Manarah, Pepperdine University and Dr. Siegel. Can you briefly describe the genesis of this project and how all the different groups and students came to be involved? Who will be the main audience (you hope)? Alexander Booker: The project was started when Dr. Andrea Siegel, a professor of Jewish Studies here at Pepperdine University introduced the idea and the key players (Al-Manarah, Marvel Comics) to her "Comics as Literature" class in Fall of 2010. At Pepperdine, one of the key goals of the university is to prepare students for a life of service, and by promoting this project as a "Service Learning Project", it seemed a like a perfect match. After being introduced, students were excited about the project and have been working on it since then. Our targeted audience is different Arabs from the Middle East, and particularly Arabs from Israel (because Al-Manarah is based in Israel), and we hope to spread awareness about the blind in Arab culture by this project. Mithra: Was Marvel informed about this, and if so, what did they think of it? Booker: When we first started, Marvel was informed of the project and gave us their permission and blessing to work on this project. They seemed to be very supportive and interested in the idea. Mithra: For translating the comic, are you using just the original comic itself, or are you using the format that Marvel used for their audio edition, which incorporated writer Mark Waid's panel descriptions? 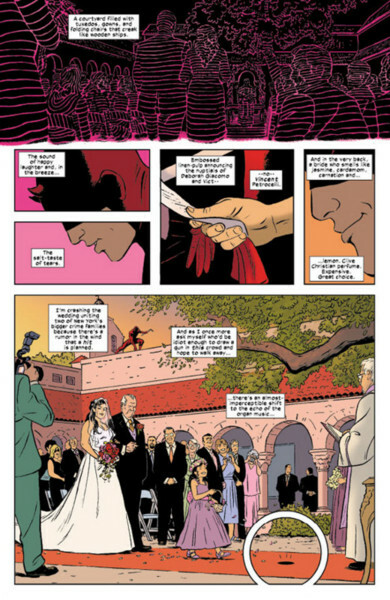 Booker: For the translation process, because of the complicated language that is Arabic, we used a mixture of the original comic, the audio script that Marvel used, and some of our own writing decisions, to still have the original intent of Daredevil #1, but to make it accessible to Arab listeners. Mithra: I'm not sure how far along you are in production, but what can you reveal about it? Has recording already happened and now the finishing touches are being done, or is it still ongoing? How long has it taken to record? Booker: Currently we are in the middle of the production and we hope to finish it before the end of the spring semester, here at Pepperdine. Mithra: Can you give some info on the actors involved; where they auditioned and what roles, etc.? How many people auditioned? Booker: We are currently working with volunteer Arabic actors, which are here at Pepperdine University. We were lucky enough to have around four actors come to us with interest in the project. Mithra: What has been the biggest challenge so far? It seems all the members are spread out all over the world. Booker: I believe that probably the biggest challenge is that we are trying to organize a big project, like "Spoken Comics", in pretty much our free time as college students. As many would know, college is an extremely busy time, so by even being able to commit the necessary amount of time into this project and having it turn out successful, shows that even in our biggest challenge (time commitment), our students are still successful. Mithra: From what I've seen, for the most part, this is a volunteer-run project... what do you think is the main reason everyone has become a part of it, and what do you think they will learn from it? Booker: Well, this project is tied into Dr. Siegel's literature class here at Pepperdine, so students in that class have the option of being a part of the project or doing something else; however, the overwhelming majority of students want to participate in the project. I believe one of the main reasons we have so many students participating is because they want to be a part of a school project that actually makes a difference in the lives of others, and that can see that difference on a daily basis. In addition, they are gaining important teamwork and organizational skills that can be applied later in their lives. Mithra: I'm going to guess that most of you only knew of Daredevil from the movie, so what do you think of the comic version, now that you've been working on this project for so long? 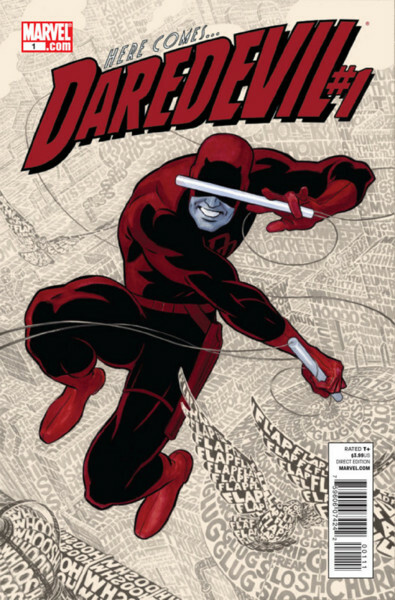 Booker: We have all become fan of the comic version of Daredevil! It has been a great experience learning about this really cool and multifaceted character. Mithra: Any plans for other editions, in different languages? Booker: As of right now, we are only planned to finish this project in Arabic, but if the opportunity comes up and we have the possibility of completing this project in other languages, we would have to take a serious look at that. Mithra: And last question... Daredevil fans can keep up to date with what's going on at spokencomics.com... what is the official release date and how will it be distributed. Booker: We hope to finish the project by the end of April and it should be distributed on our website, www.spokencomics.com.